When I opt to update my Maxthon I open Advanced and uncheck the default option but then it changes my default from Fireffox to Maxthon. I changed the default browser to Firefox and unchecked the "default browser" option on the installation page before installing v5.2.5.3000, but haven't reproduced it. 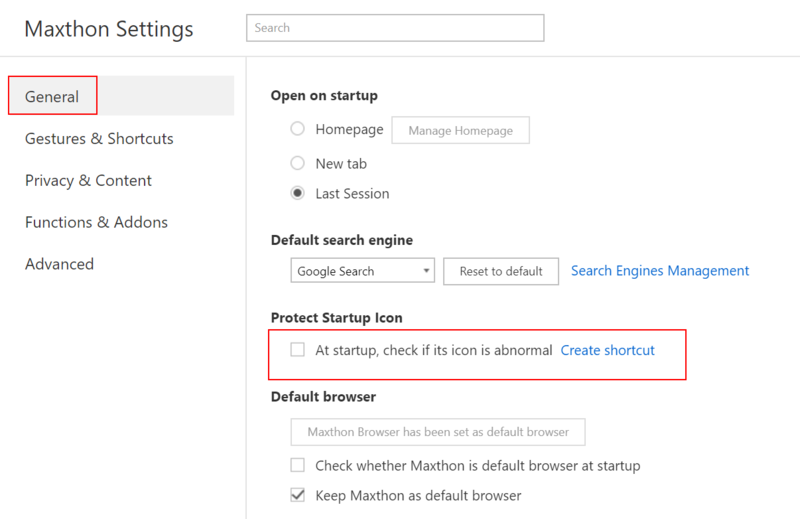 Go to disable the "protect startup icon". I'm trying your suggestions. will let you know.